Big Jim Davis writes, records and performs Blues and Country songs. His musical influences include Chicago and Delta blues, gospel, classic rock and traditional country. Jim is a multi-instrumentalist who plays guitar, bass, banjo, keyboards, piano and harmonica in addition to singing lead and harmony vocals. 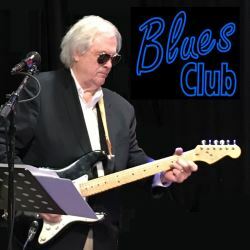 Jim's musical goal is to craft and perform authentic traditional blues, classic rock and country songs to honor the legendary performers of the past.